Apple could be set for more legal trouble in China after Shanghai-based Zhi Zhen Internet Technology said it had filed a patent lawsuit against Apple for allegedly infringing on its voice assistant service with Siri. According to NASDAQ, Zhi Zhen Internet Technology holds a patent for a Chinese language voice system that is used on its Xiao i service. It claims that it issued a complaint to Apple in May but did not receive a response. A company spokesman also added that the Chinese tech company had applied for its patent as far back as 2004, with the lawsuit filed as a way to stop Apple from infringing on its technology and force it to bear all costs associated with its litigation. Launching on the iPhone 4S in October 2011, Siri has been well-received by most, allowing users to schedule appointments, send text messages, initiate phone calls and search the Web using just their voice. 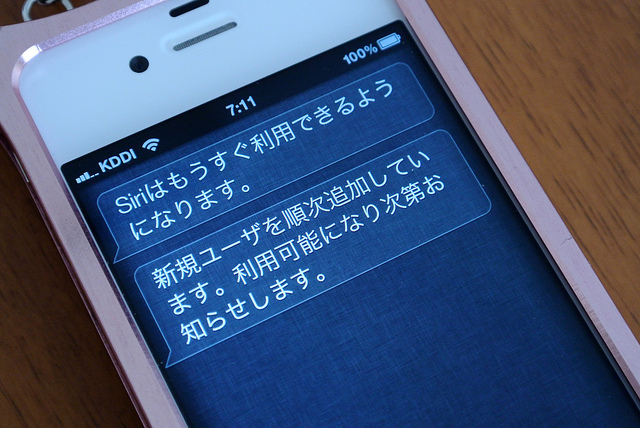 In June, Apple announced that it was to roll out the service to Chinese iPhone devices, supporting both Mandarin and Cantonese, bringing Siri firmly into the spotlight in the country. Of course, Apple has only just settled a long-running lawsuit brought against it by Taiwanese firm Proview, which centered on the ownership of the iPad trademark in China. After months of courtroom battles and negotiations, Apple settled the lawsuit for $60 million. Chinese chemical company Jiangsu Xeubao also brought suit against Apple in China earlier this week, claiming that the company infringed on its trademark of the name Snow Leopard back in 2000.